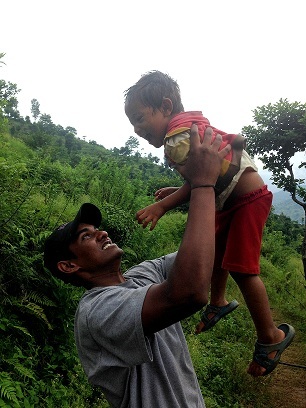 Srikaran Masabathula is our Earthquake relief volunteer from Knox College, Illinois. 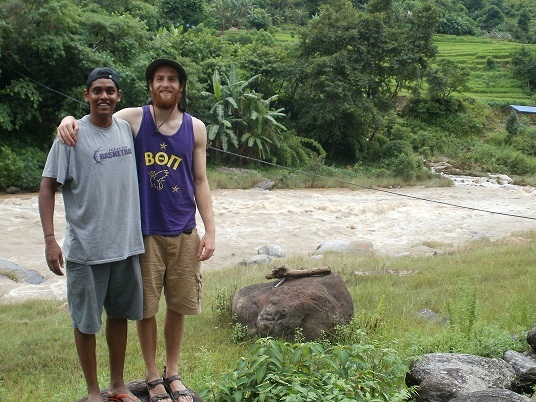 During his second year at Knox, he was looking to make a positive difference and decided to head to Nepal to support OLE Nepal with their earthquake relief efforts in the severely destructed area. 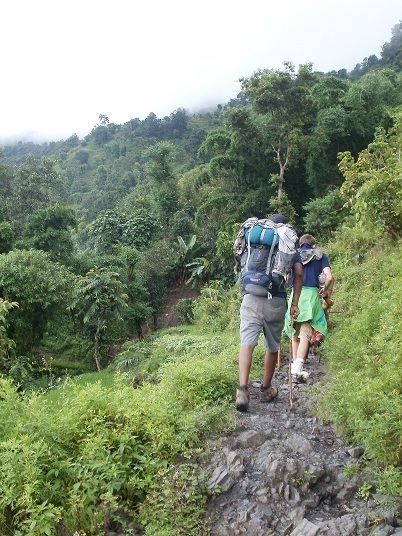 Following is the experience shared by Srikaran on his visit to Nepal. “Hello, this is Srikaran Masabathula and I would like to thank OLE Nepal for giving me and my good friend Matt Surprenant the opportunity to assist in the earthquake relief efforts. When the earthquake hit Nepal, along with a few of my Nepali friends at Knox, we were sleeping peacefully completely unaware of the devastation going on on our planet. The next morning western media didn’t really give it too much coverage and it tried to undersell the devastation. However, my Nepali friends were very quick to post the personal destruction that their families and friends had experienced overnight. The pictures shared, stories told, were absolutely heartbreaking. That is when it really hit us that our friends, the ones we have studied and played with, may not have a home to go back to. Their towns and houses were destroyed and they had to be away from it all, not even with the comfort of their family by them. We started looking for volunteer opportunities when we found out about OLE Nepal through Ms. Manisha Pradhananga, an economics professor at our college who helped us greatly also in acquiring funding for our trip to Nepal. I landed in Nepal completely amazed at the beauty of the place and the sense of togetherness among the people. My first day at OLE, I loved the way the office worked. Everyone at the office was very closely knitted and it seemed more like a big family working together for a great cause – enhancing the quality of education through the integration of technology in rural classrooms. The first week at office, I got to know a lot about the activities that OLE was involved in and also learnt how to work on the XO laptops which were rugged, low-cost, low-power, connected laptop with content and software designed for collaborative, joyful, self-empowered learning. OLE Nepal had a very popular program called E-Paath where they designed and developed educational contents with various features of technology such as audio, images, animation and text to be built into the laptops with their team of graphic designers and software programmers. OLE has already designed over 500 lessons and activities for students of classes 2 through 7 in the subjects of Science, Mathematics, English and Nepali which were in complete accordance with the national curricula. Another great programme of OLE is E-Pustakalaya is an open digital library which provides free access to over 7000 full text documents, books, educational videos, audio books, learning software, reference materials. 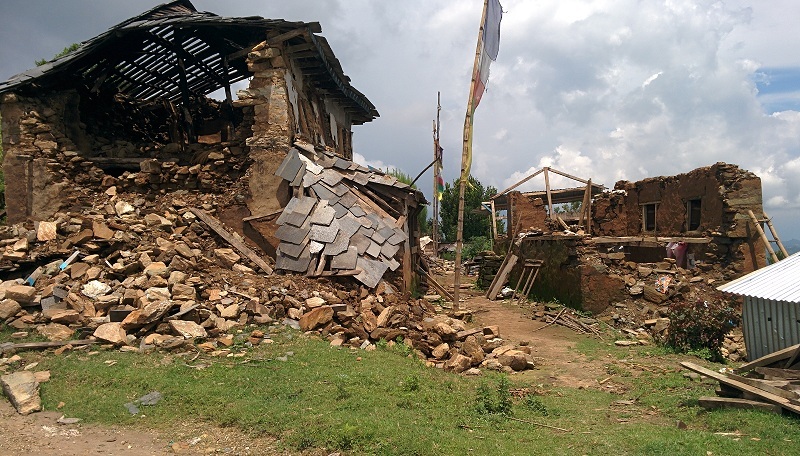 The next week we travelled to Gorkha with a team of two other people Ms. Sofila Vaidya and Mr. Ganesh Ghimire to survey schools that were destroyed in the series of massive earthquakes that struck Nepal towards the end of April and early May. We hiked across 8-9 villages in the Gorkha region through a period of 5 days to visit schools in the vicinity and talk to the management of the schools and assessing the needs of the schools that would benefit from the interactive learning XO laptops. We surveyed about 7-8 schools and we were to pick 5 schools on the criteria of availability of electricity, student size, teacher qualifications and community involvement. Some of the schools were completely destroyed by the earthquakes and classes were temporarily being conducted in the thatched huts while a new building was being constructed nearby.